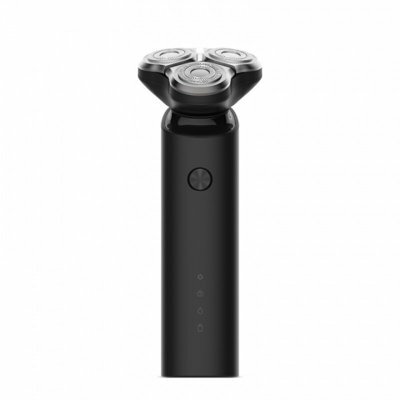 Successfully Added Xiaomi Smart Electric Shaver – IPX7 Waterproof, 360-Degree Razors, Lightweight, Low Sound, Dry and Wet Shaving, Travel Lock to your Shopping Cart. The smart electric shaver from Xiaomi is their second shaver launched in just 2 months. This high-end travel shaver features a compact and lightweight design. This makes it a great gizmo to be used at home or to carry along on upcoming holidays. The electric shaver from Xiaomi features an IPX7 waterproof design and can be used for both wet and dry shaving. Thanks to this, it is sure to meet the shaving demands of anybody out there. Whether you wish to shave your beard in front of a mirror or under the shower, the smart electric shaver from Xiaomi is sure to do its job. By supporting 360-degree razor motion, this little gadget helps you to shave your hairs in all directions. Never has it been easier to shave or trim your beard. Thanks to its travel lock feature, you can safely carry it along during upcoming holidays without needing to worry about accidentally switching on. It furthermore features a low 65dB noise which makes it comfortable to use without disturbing yourself or others. With the Xiaomi electric shaver, you’ll be able to easily shave and trim your beard wherever you are to guarantee that you’ll always look at your best. The Xiaomi smart electric shaver comes with a 12 months warranty, brought to you by the leader in electronic devices as well as wholesale electronic gadgets..